It's been a little while since you could find an Amazon e-product in Target. The retailer decided to stop carrying the popular online company's e-readers and tablets back in 2012, but it looks like that trend is coming to an end, according to a Bloomberg report. Target has announced that it will once again be stocking its shelves with Amazon products. The company began selling Fire tablets and Fire TV devices on its website on Thursday, and additional items will come back to stores in October. "Target continually evaluates our assortment to deliver quality products at a great value. We know our guests love many aspects of shopping at Target, and believe they will appreciate the convenience and savings of finding these items in our stores and on Target.com," said the company in a statement. Originally, Target had decided to stop carrying Amazon devices because of the built-in competitive edge that it gave the latter. Consumers using the products were able to more easily buy things from Amazon's site, making them bad for Target's business. However, the competitive market has drastically changed for both companies in the four years that have passed since that decision. Amazon finds itself near the top of the online marketplace. Nearly 19 million consumers have signed up for its Prime service in the past year, and expansion efforts are driving the creation of new brick-and-mortar retail stores. From a business standpoint, allowing Amazon products to be sold in Target just gives it 1,800 new locations to show off its products. 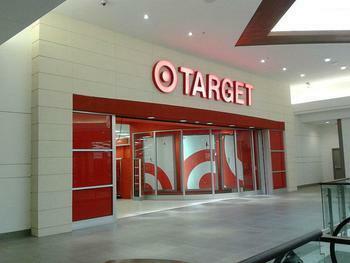 Target has undergone a bit of a transformation under new CEO Brian Cornell. The company has refocused on creating exclusive brands and is largely involved in kids, beauty, fashion, and baby merchandise. The introduction of Amazon products will likely give its electronics departments a bit of a boost. And, with the Christmas shopping season fast-approaching, it may prove to be a very lucrative move.